Hosted WordPress (http://wordpress.org/) has almost an unlimited supply of plugin options available. Today I want to point out plugins that aim towards accomplishing common goals of the typical blog: Boost Speed, Attract Visitors, Proper Search Engine Indexing, Thwart Comment Spam, and Make Money. 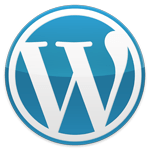 Caching software will speed up any WordPress blog. Plugin Page: http://wordpress.org/extend/plugins/wp-super-cache/I recommend WP Super Cache as an effective speed booster. I have used this software with the mod_rewrite cache function and it has never failed to deliver speed. I run another site that at times will receive 4000+ visitors per day and this tool keeps it running at peak performance. Plugin Page: http://wordpress.org/extend/plugins/add-to-any/This plugin helps your visitors share your content through popular social networking applications, social bookmarking sites, and e-mail. Plugin Page: http://wordpress.org/extend/plugins/akismet/Who likes spam? Akismet is an Anti-Spam plugin that comes pre-packaged with WordPress. Even though it comes pre-packaged, I wanted to comment about it anyway. Comment spam is annoying, by using this plugin, you will save yourself time and headaches. Plugin Page: http://wordpress.org/extend/plugins/seo-ultimate/SEO Ultimate will be sure to structure your content in a way where it will help you get better search engine rankings. Plugin Page: http://wordpress.org/extend/plugins/google-sitemap-generator/XML Sitemaps are very important for Search Engine Optimization. Sitemaps help structure content in search engine indexes, and help determine content relevancy. Plugin Page: http://wordpress.org/extend/plugins/quick-adsense/Who doesn’t like money? If you have a lot of visitors, check out this plugin. You MUST HAVE a Google Adsense account before using this plugin, but its worth it. If anyone has any recommendations about plugins that should be listed here, please comment and I will add your suggestion.